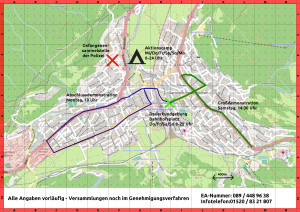 each 10:00 AM to 20:00 PM with information tables, pavilion and press tent on Bahnhofplatz Garmisch-Partenkirchen – Bahnhofplatz Klais – Bahnhofplatz Mittenwald (north of the Information Kiosk). Beginning 7 clock Bahnhofsplatz- on Bahnhofstrasse – Mittenwalder Str. – At the left turn on the cycle on the main road 2 to Klais. From Klais demonstration on the toll road to Elmau. Beginning 7 clock Bahnhofplatz Garmisch-Partenkirchen – on Bahnhofstrasse – Mittenwalder Str. on the left-hand bend on the federal highway 2 about Klais to Mittenwald. Then demonstration of Mittenwald on Lautersee on the access road to Elmau. Beginning 7 clock in the station square – via Bahnhofstrasse – main road – Mittenwalder Str. 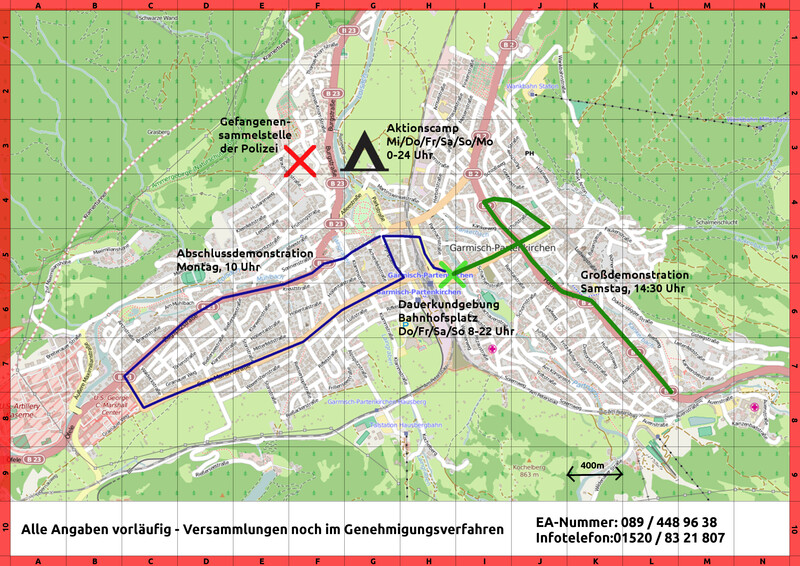 – To B2 left turn – then in the Kainz Badstraße – then towards Olympic Ski Stadium in Wildauer Str. 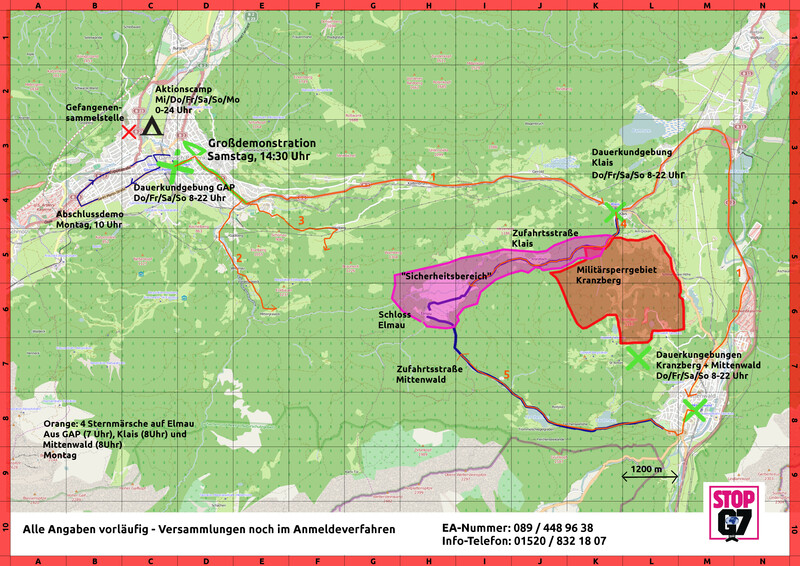 – To Wildenau – over Vordergraseck – Hintergraseck – to Elmau. Beginning 7 clock in the station square – via Bahnhofstrasse – main road – Mittenwalder Str to B2 left turn –. 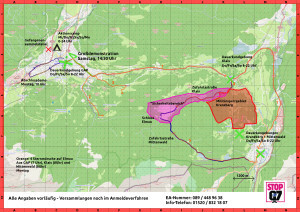 Further on Auenstraße – Kainz Badstraße – about Berggasthof Wamberg – to Elmau. Beginning 8 clock on Klais Bahnhof, then on the toll road to Elmau. with subsequent demonstration on St Martin Street – the Marshall Center -and back again.